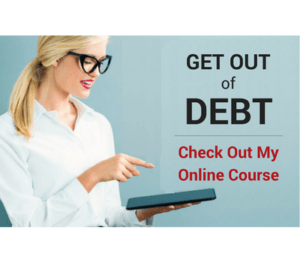 You are here: Home / Manage Money / How to Budget / How Do You Budget on a Variable Income? If you’ve followed Celebrating Financial Freedom for more than a few weeks, you know that I’m big on budgeting. When It comes down to it, how you do a budget, or if you do a budget at all is a big factor in whether or not you succeed financially or just muddle through, never getting ahead when it comes to money. Not everybody has a consistent salary that doesn’t vary from paycheck to paycheck. I certainly don’t. My income can vary by as much as 50% from month to month, which, if you don’t know how to make a financial plan for that, it can be a real nightmare. For my situation (I get paid once per month), what works best is to use zero based budgeting forms that break all expenses down into various categories. Once I know how much my paycheck is, usually on the second day of the month, then I fill in my budget before spending even one penny out of my paycheck. However, if you get paid weekly or biweekly, making a plan for your money is only slightly more complicated, with only one additional step involved. You'll need the variable income budgeting forms (Download here) for your budget. You can use the standard budgeting forms (Download here) as a reference just to look at the list of individual spending categories you might need. Then you make a list by asking yourself this question: “If I only have enough money to pay for one line item in my budget, what would that be?” Obviously the most important things come first, such as shelter, food, water, electricity, etc. Put the most important item at the top of the list and then ask the question again: “If I can only pay for one more thing, what is the next most important thing?”, and so on until you run out of money from your paycheck. As you work your way down the list, you subtract what you’ve spent until you get to zero. Let’s say you get paid every two weeks. Your latest paycheck is $2,000. You make a list with 3 columns which are labeled “Item”, “Amount”, and “Amount Left”. So you start with $2,000 and the top item of importance is your house payment. Your house payment is $800. So you enter “House Payment” as the first budget item under the “Item” column, $800 under the “Amount Column”, and $1,200 (which is $2,000 minus $800) under the “Amount Left” column. You then work your way down your list of budgeted items in order of importance such as food, water, electricity, transportation, etc. until the “Amount Left” column equals zero. When you get paid in two more weeks, do the same process over again with any other items that are left in the until you get to zero. When you finally get to zero, you are done spending and you don’t spend anything else. This helps ensure that you have a balanced budget and you don’t end up spending more than you make. When all of the money in the budget is spent, do not, under any circumstance, whip out the credit cards! Maintaining a budget is all about keeping control of your money instead overspending and putting yourself in debt because you’re not keeping track. Developing a habit of budgeting can take a little time to get started, but if you stick with it and become disciplined, it gets easier over time and eventually budgeting will become second nature. 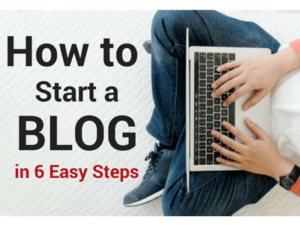 Still a little unsure about how to budget? Make sure and leave me a comment and I’ll clear up any questions you have. 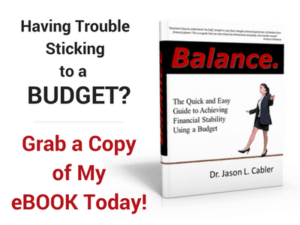 Also you can purchase my book “Balance- The Quick and Easy Guide to Financial Stability Using a Budget” (Available on Amazon.com) that will teach you all you need to know in much greater detail than I can cover here in a blog post. Great questions Suzanne! The best way to handle your situation is to use my Variable Income budgeting forms provided in the post. The first thing to do is to list out a bare bones budget for the month ahead that takes care of all your needs first, such as mortgage, rent, utilities, food, gas, and other regular bills listed in order of importance. Then, as each paycheck comes in, use that money to work down the list until the money from that paycheck runs out. When the next paycheck comes in, work your way further down the list until the money runs out. Keep doing this until you complete the entire budget. Don’t forget to include items in your budget such as savings and even a little pocket money. I know it can be a little hard to wrap your head around at first. The main thing is to just get started. 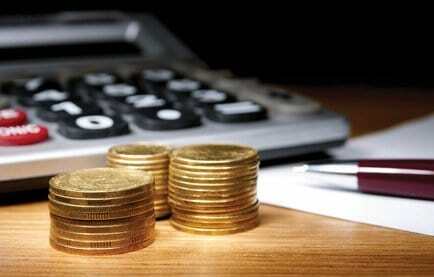 Your budget will be far from perfect the first few months you do it. But when you stick with it and to it month after month, eventually you start to fully understand what your doing and it becomes natural. I feel like there’s a flaw in this method… I’ll try to explain my issue bear with me. So I get paid every 2 weeks- there’s enough money to pay all of my bills due during those 2 weeks but the next 2 weeks there isn’t enough for everything due. But the items on the Bottom of my list most important to least important were paid during the first check due to due dates… Then I’m scrambling to make sure everything at the top of my list is paid… They way it falls each month is completely different and I end up looking at least a month ahead, but we invariably have a pay period of high stress to get everything paid. It just seems like we can never get any traction to pay debt down. Let me know if you need clarification, any help would be great. Are you sure you’re making enough to cover every expense for the month? Remember, this is a zero based budget, so what’s coming in must be equal to what’s going out. If you don’t have enough to pay everything, it may mean you need to cut some categories, or more income may be needed. I hope this helps. If you need any more clarification or have any more questions, just leave another comment. I’m glad to help in any way I can! Remember, you have to account for every single dollar, and stick to what’s on paper. That’s why I recommend going cash only and using an envelope system to spend the money on everything you need during the month. If you’re using credit cards, or even debit cards, and trying to reconcile the budget with the bank account and the credit card statement, it can get confusing real quick and the math doesn’t work. Does this help? If you need any more guidance or need to clear anything up, please don’t hesitate to let me know, I’m just a comment away! When I click on the link to the form, it takes me to the sign up page. Am I doing something wrong? Great information. Keep up the awesome work! !